Hi Friends and Happy Hump Day! We have made it half way through the work week.... Woo Hoo to that! Once again my love of all things nautical is back up for view! 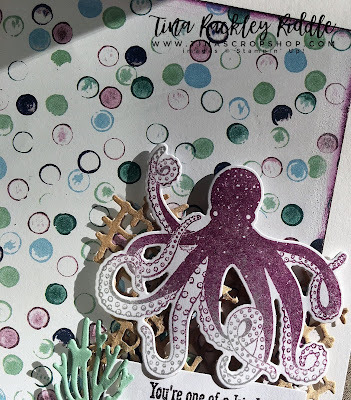 Over at Paper Craft Crew today the sketch gave me an idea that I had to run with using the new Stampin' Up! Sea of Textures Bundle! The funny thing is that my original idea was changed up while I was making my card. Does that ever happen to you? It sure happens to me a lot! 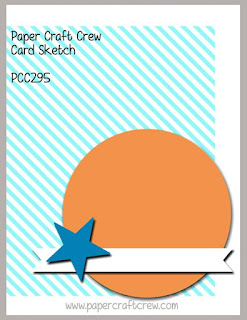 So as usual when I see a circle, I think of a nautical shaker card. 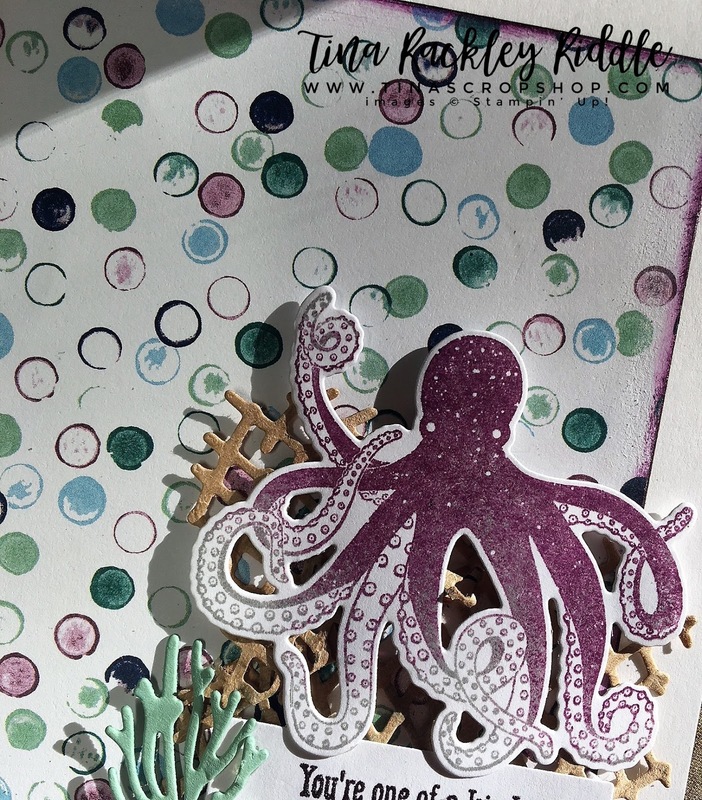 Of course that would have been super cute but when I got my dies out and looked at that awesome fish net die I had another idea. For the Octopus I first stamped in SU Smoky Slate (a light gray) and then sponged on some Blackberry Bliss. I love the look! I also love that the die cuts out so many of the inside sections of the legs! 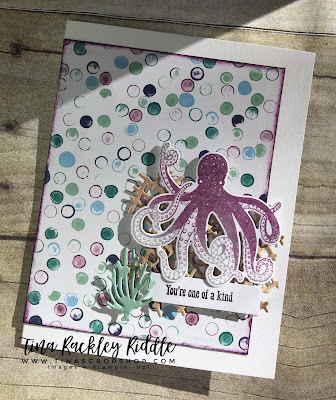 I believe this bundle is one of the best picks from the brand new Stampin' Up! Catalog! If you don't have it yet, you can purchase the clear mount Sea of Textures Bundle here! I also used the coordinating Tranquil Texture DSP. There were a lot of options with this DSP and I'm still not sure I picked the right one. lol I just really wanted the octopus to stand out!